Sending your child overseas for a year can be a daunting experience, both for you and for them. You may not have been apart for long periods of time or may be overwhelmed by the logistics of it all. That’s where Go Abroad China comes in! We are here to help organize their time away, making it simpler to plan and prepare for an enjoyable time living, working and studying abroad. Parents play an essential part in their children spending a successful time abroad. 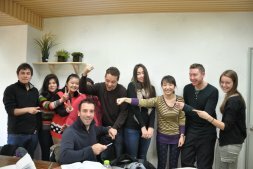 At Go Abroad China we work closely with you and your children to ensure a smooth transition into their study or work abroad program. We welcome your feedback and concerns so we can plan the best possible opportunities for your child/children. We are committed to organizing the best possible experience abroad for your Child. Why Choose China for your Child’s Experience Abroad? Give your child a competitive edge and a head start on a fantastic future by sending them to China to study and/or intern. You won’t regret the decision! Coming to China is an investment in their future. With China being such a great global giant in the world’s economy, getting to know and understand the culture and business values of China can only stand them in good stead for a prosperous future. If they’re completing an internship, they’ll gain valuable international work experience and get to understand the trends within their industry. Improve your child’s work prospects by letting them learn and a new language that can help them do business with the world’s largest manufacturing country. They’ll gain an understanding of globalization, learn to think critically and learn to adapt to and appreciate cultural differences. Our program participants go home with new perspectives and insights. They learn about themselves, and about different cultures, they gain independence and confidence, and, most importantly, they have the time of their lives exploring one of the world’s oldest and culturally rich civilizations. Your child will come to China with participants from around the globe. They’ll make new friendships that will last a lifetime. They’ll have the opportunity to attend business networking events in which they’ll connect with Chinese and International business people and grow their business network. Getting involved in and understanding our process can help you feel confident about your decision to choose us and China for your child’s international study or work abroad experience. Remember, no question is too hard. Our team is here to support you throughout the process to make it as smooth and hassle-free as possible and to ensure you that your child is in good hands with GAC. The application process includes completing our online application form and a personal 15-minute interview with our team. If your child is completing the application, we encourage you to do it with them and support them throughout the application process. The more we know about your child and their interests and skills, the better we can adapt the program to suit them. A weekly email update from your child can be used to brief you on the week that’s been, and it can include anecdotes on the experiences they’ve had, photos of their favorite experiences, and updates on their work or studies. A Hotmail account is a great email option. A Skype account is a great way to chat face-to-face for free. Ensure you both have an account set-up and they have Skype installed on their device. Plan when and how often you’d like to chat. GAC can organize a Chinese SIM card for their mobile phone for you so they can text and talk. Chat systems and social media can offer another option for keeping in touch. WhatsApp offers the chance to message and video chat for free, while a VPN (Virtual Private Network) connection may be needed if they intend to use social media platforms such as Facebook or Instagram. Research a little about China together. Get to know a bit about the country before they come, this will benefit both you and your child. GAC will give you some information on China and what to expect, and your child will have a detailed orientation to set their expectations and help with the initial culture shock, but a little research ahead of the time will get you both chatting about the experience before they come. Plan your finances. Discuss how much money your child needs for each day and how they can access those funds or any additional funds they ask for along the way. We find that 50 RMB is usually enough for a day, however, if your child likes to shop, a larger allowance may be needed. 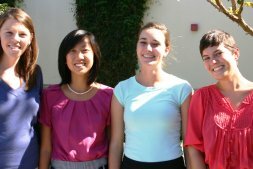 All our program packages (except for the basic internship package) include accommodation for the duration of the program. Generally, pocket money is needed for meals (if not included in their specific program plan), transport or on things of personal interest. Be clear about the cost of living in Beijing, or any other city your child will be visiting. Visit your local medical center or doctor before they come. A health check before the trip to check they’re healthy, have had any travel vaccinations recommended and a medication plan if needed is always a good idea ahead of any trip overseas. Let us know of any allergies or medical information specific to your child, so we can better support them during their stay. Help your child plan their luggage. Make sure they pack appropriately and try and think of everything they may need or want to bring to be comfortable. Look up the weather for their time here, so they know what to wear throughout their stay. Ensure your travel documents are in order. Make sure their passport is valid for the full duration of their stay and three months before departure. Once the visa has been organized, make a copy of all their travel documentation (including flights), so you have a copy if they lose anything. Let us know as soon as you have booked the flights so we can arrange airport transfers. Our team is available 24/7 if you have any concerns or questions (or haven’t heard from your child for a while). Our team is here to help. You will be given your program coordinators mobile number so you can get in touch at any time. We want you to feel comfortable leaving your child in our care, knowing they are happy and enjoying a safe and memorable time in China. Your program coordinator will greet your child on arrival in China, and they’ll be taken straight to their accommodation. Our program coordinator will be supporting them throughout their stay. They’ll be shown around and within the first few days will have a detailed orientation session and welcome dinner. They’ll get to meet the other participants in their group and be briefed on how to stay safe and well in China, what to expect and be given the support they need to cope with the initial culture shock. Our team is on the ground supporting our participants as they work, study and explore China. We have 24/7 support to help them with any needs or questions they may have, from day-to-day support through to lending a hand in medical or other emergencies. Our team is also here for you. You’ll have your program coordinators contact details. Feel free to get in touch to see how they’re going, discuss any concerns or even if you haven’t heard from them in a while – our team will track them down and prompt them to get in touch for you. After spending some time abroad studying or working in a different culture, your child could need a little time to readjust to their old life when they return. It is not unheard of for participants to experience a little re-entry shock on arrival at home. You can reduce the impact by making sure they can continue to practice their Mandarin, chat to friends they made while away and help them feel like that part of their experience has come home with them. Your child will be one of our Alumni once they’ve completed their program. They’ll be able to connect with other Alumni in the network and may even have the opportunity of full-time work once their internship (if they had one) is completed. Should they have any questions once they’re home, we’ll still be here to support them. Planning time abroad in China, organizing your sight-seeing, accommodation and tuition can be complicated! Making sure you have everything sorted, from choosing the right place to study or arranging an internship abroad to transferring credits, organizing visas and getting around can do your head in. Go Abroad China is here to make the process as smooth as possible; we’ll handle all the details and ensure your child’s stay in China is memorable for all the right reasons! GAC can make sure your child gets good learning and internship options, organize all the details for you, help you with your visa and arrange the little extras that make the experience worthwhile! 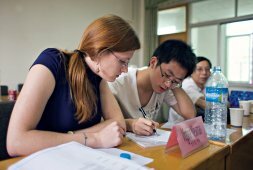 GAC arranges affordable, accredited and quality Chinese language programs. We’ve placed thousands of happy students and would love to do the same for your child. When applying for any of our programs, we only require a small deposit as an upfront payment. This deposit will, of course, be deducted from the total program fee; you will NOT be required to pay the full program cost until we provide you with a detailed program placement that you are happy with to ensure that you have no risk. With over a decade of experience and a reliable reputation, our prices are competitive yet still guarantee that you get the most out of your chosen program. We know how the market operates; our niche is providing international standard service at an affordable price, which has kept us operating and able to withstand the competition for many years. INTERNATIONAL WORK EXPERIENCE.